Sri Lanka is one of the smallest, but biologically diverse countries in Asia. Indeed, the country is listed by Conservation International as one of the world’s 34 official “Biodiversity Hotspots”. In addition, The Sinharaja Forest Reserve, the country’s last viable area of primary tropical rainforest, is the seventh UNESCO World Heritage Site. 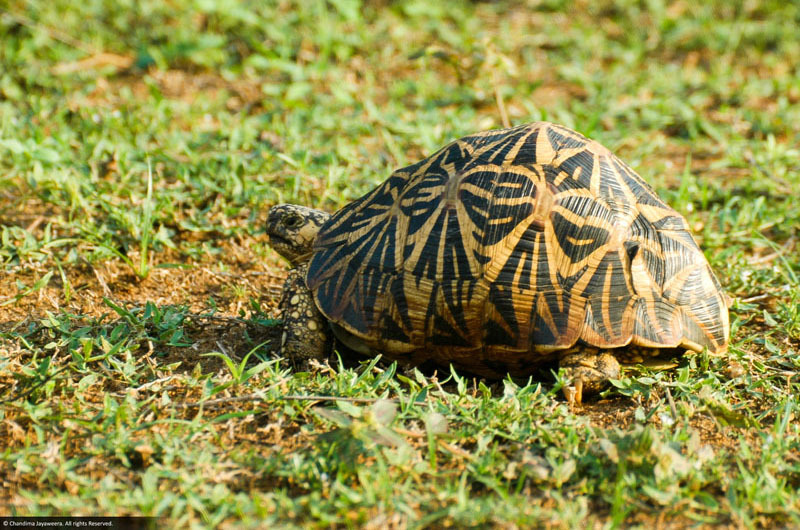 Sri Lanka’s high proportion of endemic species is remarkable. Take land crabs: all 51 species are endemic. Influenced by Buddhist respect for all living beings, Sri Lanka has a well-entrenched conservation ethic. Indeed, Udawattakelle Sanctuary in Kandy is probably the world’s oldest wilderness protected area. 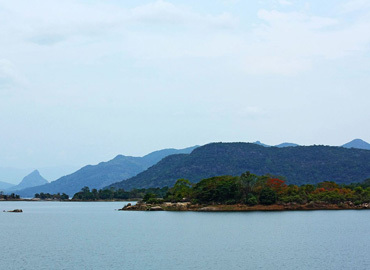 There are 12 National Parks and 52 Sanctuaries, which together account for 13% of Sri Lanka’s land area. A national park safari offers the chance to see some of Sri Lanka’s 92 mammals (16 endemic) - elephant, leopard, sloth bear, sambhur, spotted deer, mouse- and barking-deer, porcupine, ant-eater, civet cat, giant squirrel, and monkeys such as the macaque, purple-faced leaf monkey and grey langur. Yala National Park is believed to have the world’s highest concentration of leopards. Uda Walawe National Park is famous for its elephants, but Minneriya National Park boasts the awesome dry season “Gathering”, in which herds of elephants congregate to drink the region’s remaining water. National Park	Bungalow Horton Plains	Ginihiriya Udawalawe	Gonaviddagala Wasgamuwa	Mahaweli, Wawul Ebe Wilpattu	Ondaatje Horton Plains	Mahaeliya Udawalawe	Sinuggala, Thibiriyamankada,Weheragolla Wasgamuwa	Kadurupitiya Yala	Heenwewa, Thalgasmankada Maduru Oya	Endaruwetamulla Yala	Mahaselawe, New Butuwa, Warahana, Old Buthuwa Wasgamuwa	Kadurupitiya Angamedille	Angamedille Gal Oya	Ekgal Oya Yala (Ruhuna) National Park: Yala National Park covering an area of 1259 sq km is the biggest National Park in Sri Lanka. The Park is located 309 km south of Colombo on the southeast of the island and is divided into Yala West (also called Ruhuna) and Yala East. 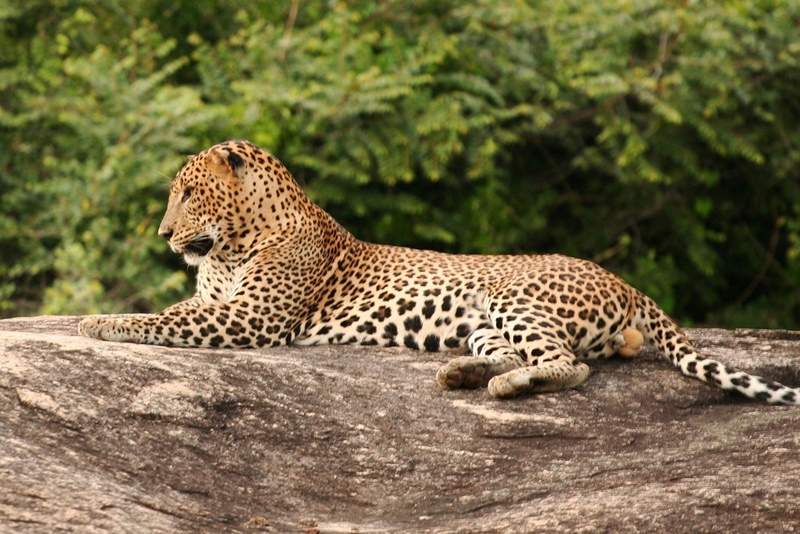 Yala West or Ruhuna National Park is one of the best parks in the world to observe and photograph leopards. There are about 35 leopards in the park, which probably is the highest density anywhere in the world. Other animals that can be seen in the park are elephants, sloth bear, spotted deer, barking deer, mouse deer, toque monkey, mongoose and crocodiles. 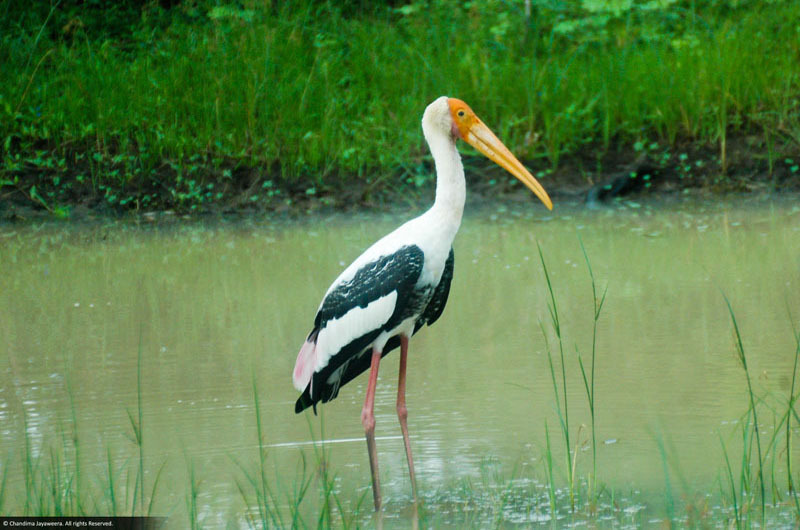 Yala East contains a large variety of water birds. Gal Oya National Park: Gal Oya National Park is located 314 km away from Colombo in the Inginiyagala district. The Park has an area 260 sq km and is surrounded by the largest tank in Sri Lanka, which is the Senanayake Samudra. The park is renowned for its elephant population. There are about 150 elephants in the park. The best time visit the park is between March and July. Uda Walawe National Park: Situated 170 km southeast of Colombo, the Uda Walawe National Park lies within the Ratnapura and Monaragala districts. It is largely inhabited by elephants, spotted deer, sambhur, water buffaloes, mongoose, bandicoots, foxes, water monitor lizards, crocodiles, wild boars, toque monkeys, grey langur, leopards and various varieties of snakes. Wasgamuwa National Park: Situated approximately 200 km away from Colombo, the Wasgamuwa National Park lies within the Polonnaruwa and Matale Districts and has the Mahaweli River and Amban River as its eastern and western boundaries. The wildlife includes elephants, wild buffaloes, spotted deer, leopards, sloth bears, water monitors and crocodiles. 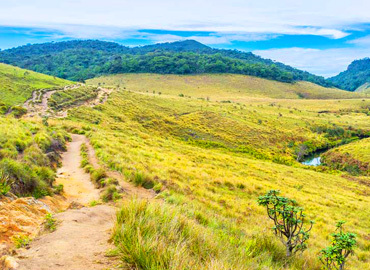 Horton Plains National Park: The Horton Plains National Park is situated some 200 km away from Colombo, amidst hills in the Nuwara Eliya district. The most amazing feature of the park is the `World's End' where the southern part of the plains comes to a sudden end and drops almost straight down for 700 m. The park contains a rich variety of birds and animals.